The Nell Hodgson Woodruff School of Nursing's NIH funding ranking has risen from No. 38 in 2009 to its current No. 4 ranking, with an increase in funding from $1.9 million in 2009 to $6.2 million in 2015. 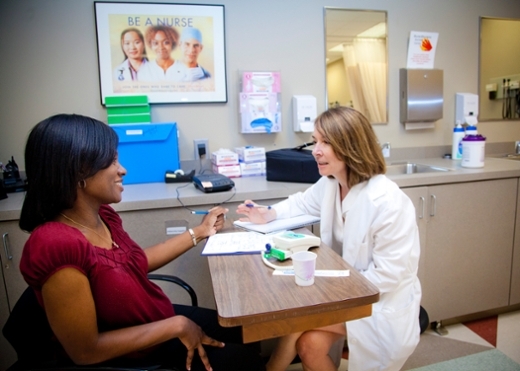 Emory University's Nell Hodgson Woodruff School of Nursing climbed to fourth overall in the nation among the list of nursing schools receiving National Institutes of Health (NIH) research funding. The school's NIH funding ranking has risen from No. 38 in 2009 to its current No. 4 ranking, with an increase in funding from $1.9 million in 2009 to $6.2 million in 2015. This year's total represents the highest NIH funding total in the school's history. The increase in NIH support demonstrates the school's commitment to nursing research, scholarship, and interdisciplinary collaboration to improve health care delivery and patient outcomes. "It is beyond gratifying to be a part of such a focused, driven, committed, and highly talented team of researchers here at the School of Nursing," says Linda McCauley, PhD, RN, dean of the Nell Hodgson Woodruff School of Nursing. "Acquiring NIH funding is an extremely competitive and rigorous process largely because of its vital connection to the most compelling breakthroughs in research. We are honored that NIH recognizes the importance of our work and supports our efforts to improve the lives of patients and their families." Improving health outcomes for caregivers of loved ones with Alzheimer's disease and chronic illnesses. "Thanks largely to support from NIH, our faculty have blazed tremendous trails in a broad spectrum of areas within the health sciences," says Elizabeth Corwin, PhD, RN, associate dean for research. "We are honored to have the opportunity to continue the transformation of health care through innovative research."